We have an option to select multiple items to save it for stocktaking. You can also click on the checkbox that is present at the left corner of the item list. 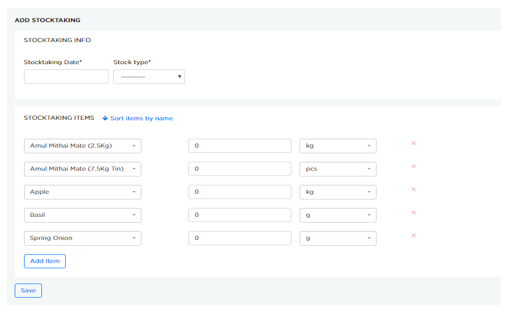 This is a preferred method for stock taking as there are less chances of missing out on items and units are prefilled and you only need to enter quantities of each. Click Name label&apos;s checkbox to select all the items present and click Save as Stocktaking button to convert the selected items as stocktaking. 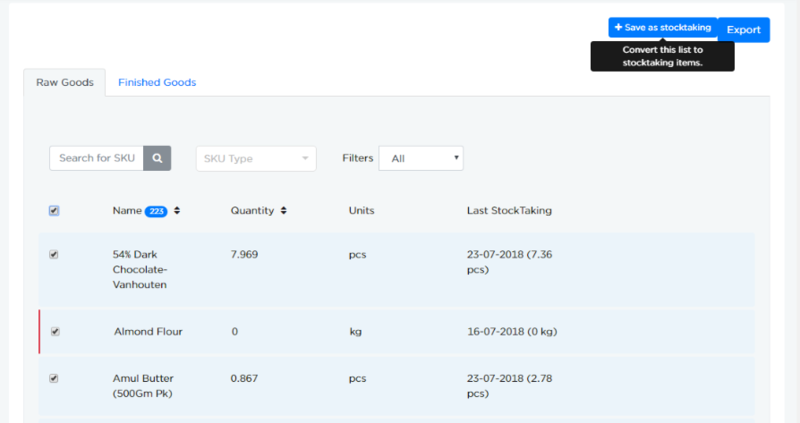 On clicking Save as Stocking button, we enter into Add Stocktaking page where we can edit and save the items as a stocktaking as shown in below example. Enter the stocktaking information and enter the items and their respective quantities.